The NASCAR season kicks off this upcoming weekend with the annual Daytona 500, the “Super Bowl” of stock car racing. Ahead of the event and new season, Fox Sports has rolled out a graphics update, bringing NASCAR in line with the look that debuted with the 2017 football season. While the new design makes information easily legible and loses gradients and gloss in favor of flat design, one notable choice has drawn the ire of NASCAR fans across social media. 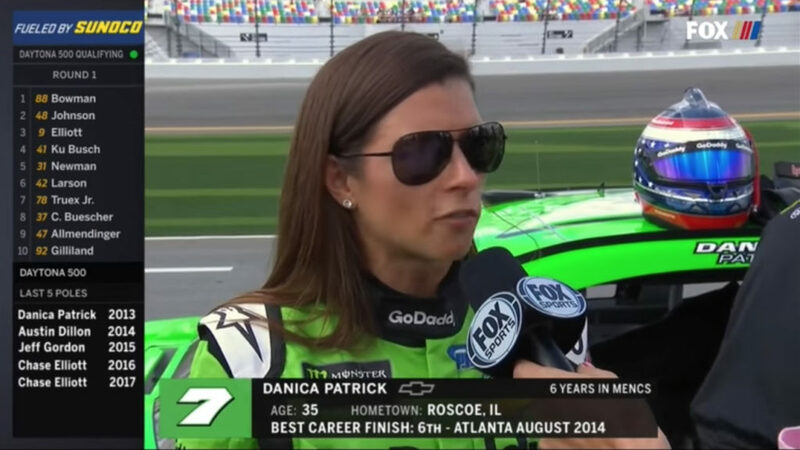 The look removes the traditional scoring ticker, used by Fox’s coverage since it took over NASCAR in 2001, replacing it with a sidebar leaderboard, mimicking the scoring pylon located at most race tracks. The sidebar fills about a fourth of the screen and is opaque, with a dark grey box filling the space behind the information. The resulting setup leaves a 4:3 box for the video, removing the traditional 16:9 HD framing. 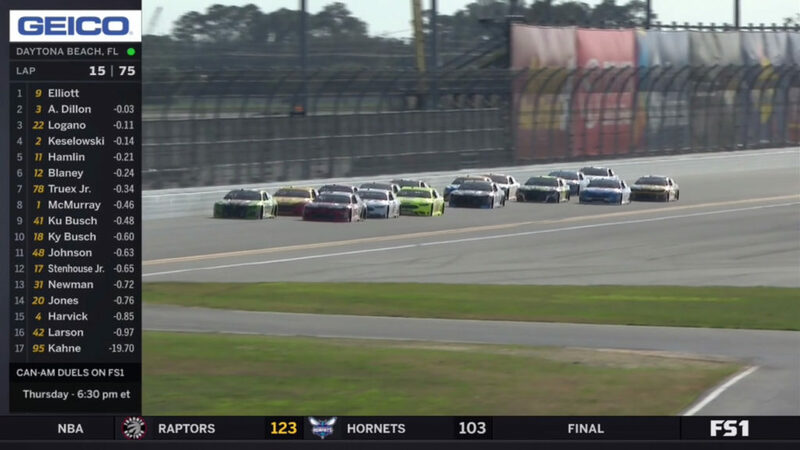 At tracks like Daytona International Speedway, where the season kickoff, this framing works as the cars typically race in one giant pack condensing the field into a manageable video shot. At upcoming races, however, the field strings out, making the new setup problematic as one or two cars would fit into the 4:3 frame at a given time with the standard TV camera angles developed years ago at each venue. Fox Sports also attempted to roll out a major overhaul of the “ticker” in 2014 using a similar sidebar setup. It lasted one week as the network quickly backtracked on the decision and Fox Sports had to retreat to the previous design. Update: For the Daytona 500, Fox Sports did remove the solid grey background placing the scoring pylon on a background with some opacity.